Pamplin Media Group - Well hello, Pierce Brosnan! You never know who you will stumble into on the white sandy beaches of Kauai, The Garden Isle of Hawaii. 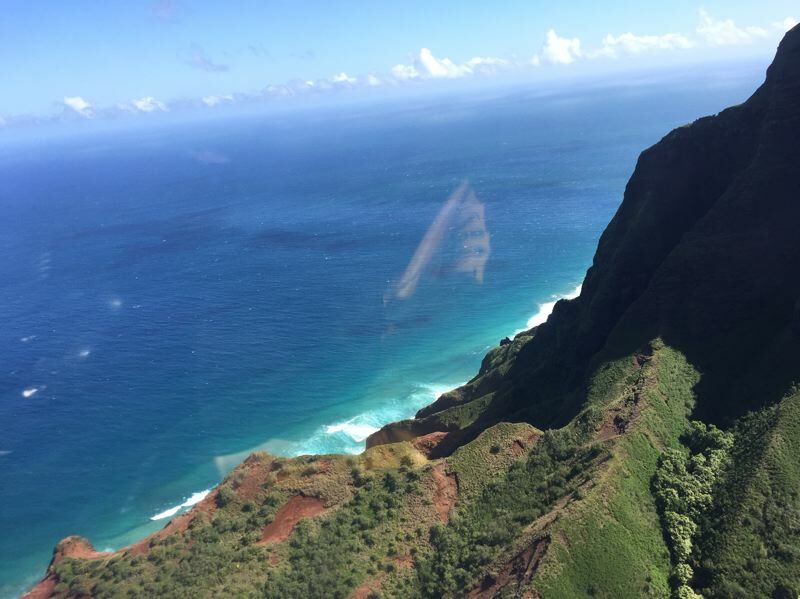 If you haven't ever been to Kauai, it might be time to put it on your bucket list. I've been to Maui and to the Big Island of Hawaii, but I must confess that Kauai is different and special, and not just because I met Pierce Brosnan there … more on that in a bit. Kauai is referred to as the "Garden Isle" for good reason. It receives the most rainfall of all the Hawaiian Islands giving it a lush look and a sweet, tropical smell to the air. Even more alluring, is its laid-back nature and relatively unhurried and uncrowded feel. Aside from Lihue, which is its biggest town, the other towns feel like big villages or hamlets creating a homey, welcoming vibe. Kauai is spoken about as the "most Hawaiian" of the islands and has an old world feel. Given all its charms — the magnificent NaPali Coast which is made up of towering sea cliffs and valleys covered in what looks like green velvet, to luxury accommodations in the northern town of Princeville — Kauai has what you didn't know you were looking for. Down on the southwest side of the island is Waimea and the Waimea Canyon. 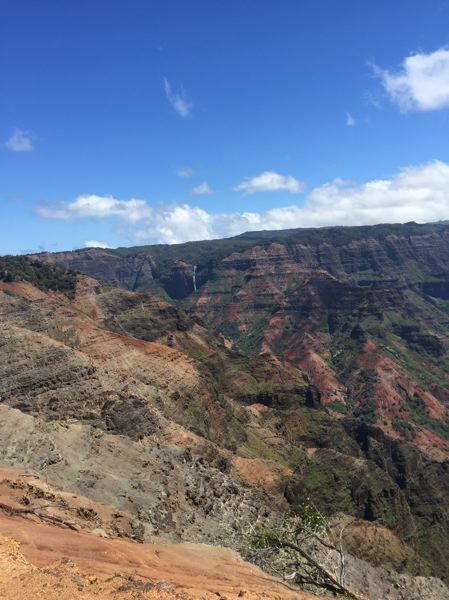 This is considered the Grand Canyon of Hawaii, and it's a magnificent study of ravines, red clay and rugged wilderness that you can see from the epic Waimea Canyon Overlook or by helicopter. 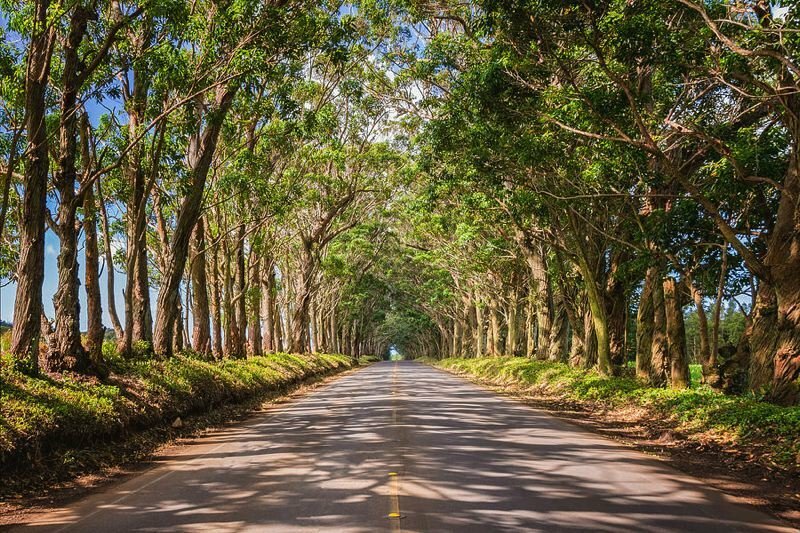 There is the iconic tree tunnel on the way to the towns of Koloa and Poi Pu, composed of 500 eucalyptus trees flanking the road that were gifted to the community in 1911. It is a unique and beautiful drive making you feel as if you are going back in time. Now to the highlight of my trip. One early morning my sister-in-law and I were on a remote beach on the north end of Kauai to snorkel in the calm waters. We plopped our beach stuff in a pile under a tree and happily snorkeled for about an hour. Upon emerging from the water, we noticed a gentlemen toweling off about 15 feet from our beach pile. We thought nothing of it. As I approached him, I looked at him and smiled and thought, "Hmm. That looks like Pierce Brosnan, who is a Hollywood star best known as the James Bond guy from 1995 to 2005." So, I casually quipped, "Hi Pierce," to which he politely said hello. I whispered to Angela as we walked by that I thought that might be him, and she looked back and her eyes about popped out of her head. She abruptly turned around and headed toward him with a big smile and a question for him that turned into a 10 minute conversation with the star. He is quite a gentlemen and a gracious human to allow us to chat him up during what was clearly his quiet time. Kauai is absolutely worth a visit, but just make sure you don't share too much information about it as we want to keep the island unhurried, uncrowded and the chickens and stars unharassed by too many tourists! Lila Reed has traveled to 30 U.S. states and 9 countries. 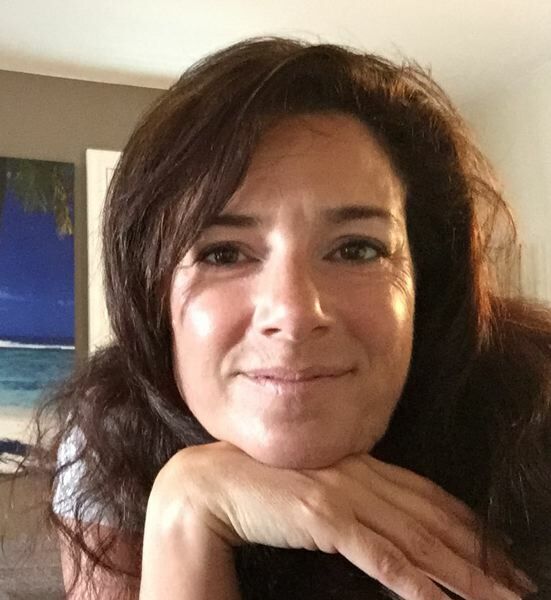 She is also a business and Resort secret shopper and has 30 years of experience as a business owner. Follow her travels at www.magicmomenttravel.com.